Impact Sports Promotions designs and manufactures basketball uniforms in Melbourne, Australia, for clubs and teams throughout Australia. We specialise in basketball and we are currently proud suppliers of the Big V Basketball League. You can either choose one of our basketball uniform designs from below or we can help you create a unique basketball uniform for your club or team. Call us today on 03 9879 4111 or Email us and we will be happy to assist. There are many important life lessons to be learned through the playing of team sports, especially for younger players. Fostering effective team cohesion and creating the atmosphere for teaching those lessons while honing athletic skills always starts in the same place; with the right basketball uniforms for your Melbourne players. At Impact Sports, we understand the needs faced by teams like yours, and as a result, we’ve developed a highly effective service as a basketball uniform manufacturer. What Can You Expect from Impact Sports as Your Basketball Uniform Manufacturer? Choosing a provider when you want to make your team stand out with comfortable apparel isn’t always easy. Why should you put your trust in our services? We think there are a few key reasons we’re worth your consideration. Impact Sports provides clarity throughout the process; in other words, you always know precisely what you’re ordering, from the fit of every jersey to true colour reproduction. We’ll ensure your team boasts the exact look they want. We deliver consistent quality with every order because we produce all our apparel domestically. 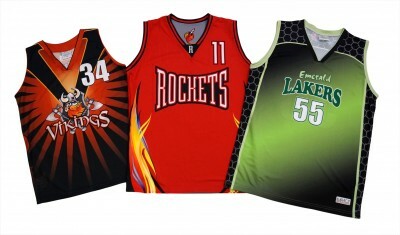 When you order custom basketball uniforms in Melbourne, we handle all fabrication locally. This allows us to keep a tight handle on quality, meaning there is never a deviation (such as in colour) that would leave your team looking shabby. Don’t have any ideas for how your uniforms should look? Our in-house design service allows you to tap into experience and knowledge in the pursuit of the perfect outfit. With these attributes working in your favour, you can avoid many of the hassles that come from trying to order from overseas apparel companies. What’s the alternative to a local option such as ours when you need custom basketball jerseys in Melbourne? Stress, problems, and poor product quality are the most likely outcomes. An overseas producer may look price-competitive on the surface, but the results often reveal the reality. Fit may vary widely from order to order, and replacement jerseys may arrive in the wrong colour shade due to variations in lower-quality production practices. As a result, your team can lack access to quality uniforms that are actually uniform in nature. With Impact Sports, that’s never a concern. We offer easy and accessible customisation for all these products, creating a simple “one-stop-shop” for all your team-related needs. With our dedicated focus on quality and customer satisfaction, Impact Sports provides an unparalleled local source for sportswear. Whether you’re aiming to build team morale or to meet requirements for league play in your area, our team is here to assist you in building out an order that contains everything you need. Learn more about our services now or contact us to get started.